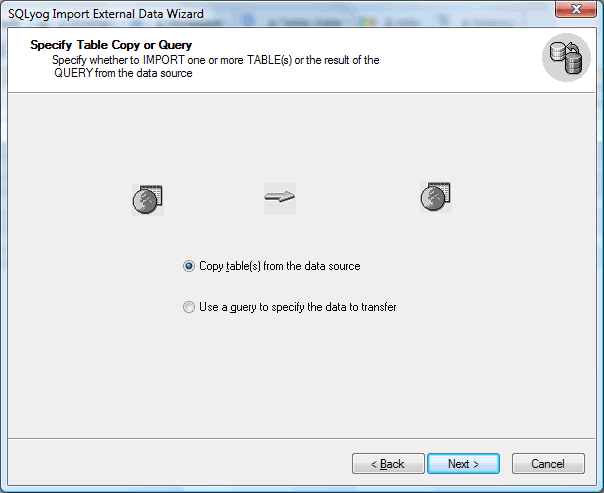 From this screen you can specify whether to copy entire tables from the source, or you can choose to enter a SQL query to select particular records. 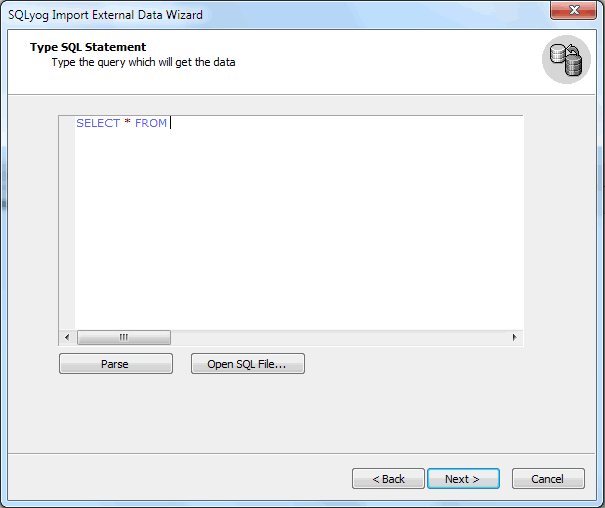 If you choose to use a query, at the next page there's a box where you should enter the SQL statement. For further description on entering a query click here.